One of these sold for over £10,000. I will leave you to decide which? This is the most important factor. 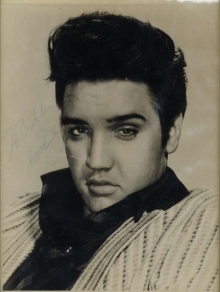 The popularity of the person concerned will have a bearing on the value as can be seen from the likes of Elvis, Marilyn Monroe, and the Beatles. The interest in these has not diminished over time so the value increases each year and should be in anyone's investment portfolio. Generally speaking, the more that is written the better so 'best wishes' or 'with love from' can only increase value. Dating the signature is also considered to be desirable. However, with regards to personal dedications the matter is not so clear. Most collectors believe it is best to avoid such things as it makes the item less desirable but there is one important exception; if the person is known to the person signing, especially if they too are famous, then it would increase the value of the item substantially. Bear in mind that the significance may only become apparent after further investigation. Also, it is important to remember that most forgeries do not include dedications as there is more work and risk involved. Generally speaking, the easier it is to obtain an autograph then the less it is worth. The old 'supply and demand' equation still applies so if there are only a few signatures known to be in existence, as in the case of William Shakespeare, then the value would soar. 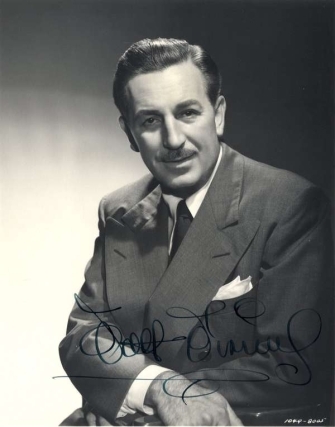 This is, in fact, widely believed to be the most valuable autograph in the world and would sell for millions. 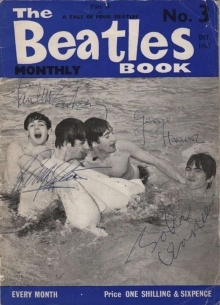 Even if the person were still alive, but it was known that they do not as a rule sign autographs, again the value would increase substantially. This was the case with Neil Armstrong who stopped signing years before his death. It goes without saying that as soon as a person dies their autograph increases in value as they have only signed a set number of objects during their lifetime and the only way to obtain it is to buy one of those. Also note the importance of completing a set. The image of the Apollo X1 crew is only signed by Neil Armstrong. 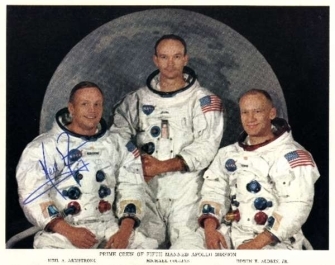 Although his signature is most valuable, being the first person to walk on the moon, the additional two crew signatures on the same photo would multiply its value by five. Similar rules would apply to autographed photos of Holmes and Watson, Batman and Robin, and the three main Harry Potter characters. The most common object to be signed is of course a plain piece of paper or a page in an autograph book. It would be better to obtain a signed photograph or document if possible. Try to choose a large photograph which shows them in a famous role. In relation to sports stars, football shirts and baseball caps are often signed, but these are not ideal as they are hard to preserve. The ideal signature would be in the form of a hand written letter as it sets the scene and is usually dated. Depending on the content, it may also reveal some interesting facts. Typed letters, signed of course, are also valued but to a lesser degree. Further desirable material could be signed concert programmes, records, and particularly books signed by the author. First edition books signed by J K Rowling command high prices. If you do decide to buy one I suggest you get a 'Deathly Hallows' as J K Rowling herself, together with her publishers, Bloomsbury, took steps to authenticate the signature by means of a hologram affixed to the top right corner of the signature page. For complete provenance, you would also want the ticket and other material handed to those who attended the 'Moonlight Signing' at the Natural History Museum. Needless to say, an autograph has to be in good condition or it's value will decrease substantially. My tips with regard to storage will prevent mistakes which would cost you dearly. Anything which affects the signature itself, or the material it is written on, will affect its desirability to other collectors and should be avoided at all costs. This will include fading, stains, creases, and tears. It used to be the case that autographs were signed either with ink or pencil. It is preferable to have ink as pencil fades with time and this will affect its value. Nowadays, it has become practice for photographs to be signed with sharpie or other permanent marker. In all cases, the signature should stand out clearly so it is best in a dark colour. It is a sign of the times that you can get iphone Apps for signatures whereby the person concerned would sign the touch screen. I would advise against this but it is better than nothing.